Synopsis: A famous singer, true love, and a deadly risk, tenacious and talented Kyle Kelly holds on to his dream of becoming a famous country-western singer and songwriter. 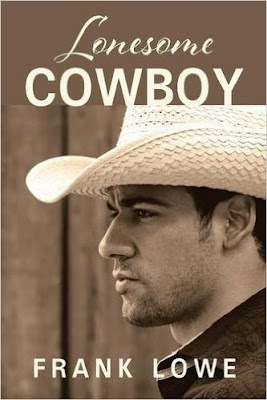 He and his father, Cowboy Red, Keep pushing through disappointments and small-time gigs until suddenly, They land the opening of wonderland park their Nashville careers skyrocket, and the future looks bright until Kyle meets and falls in love with Miranda, A waitress in a Mexican restaurant. Kyle is offered a lucrative movie contact, And he plans to marry Miranda and live happily ever after until a tragic accident sends Miranda and her family back to mexico but Kyle knows what it means to pursue a dream, And he goes after her. He could never have imagined the dangerous and tangled web surrounding the love of his life- she is not who she appears to be, And Kyle will find himself the target of merciless forces in mexico who are determined to keep them apart. Kyle enlists all the help he can get, no matter how eccentric, to find and marry the woman he loves thrilling, heartfelt, and entertaining, lonesome cowboy is a story you will never forget! Review: First of all l would like to say a big thank you to frank Lowe for sending me his book and giving me the chance to read this story. I was sent this book in exchange for a honest review. I am glad this book is on my bookshelf. I would tell people that you should step outside your comfort zone with books because it is good to add more authors and genres to your reading portfolio even if you do not read books like this. I normally do not read books of this genre but l stepped outside my comfort zone with authors and genres l am so glad l did because l have read so many great books the author is really nice and kind. I highly recommend this book. I would love to read more from this author and read more about Kyle and red. I was sent this book by bostick communications and l want to say a big thank you to them as well. I was sad to read that dave aka red had a heart attack l am also glad he survived his heart attack. I was sad to read that victor Romero-Duarte died and how the family was grieving for their only son. I was sad to read that dave aka red had gallstones and had to have his gallbladder removed. I was sad to read that Elena Romero-Duarte Miranda and Victor's mother and Prospero's wife died after moving back to mexico and she was buried aside her beloved only son victor and Prospero wish for when his time come he wanted to be buried next to his wife and son. This book was easy to get in to and l found it hard to put down once l started reading this book. This book will have you hooked and wanting to read more. I was happy to read that max and Esmeralda got married and are expecting their first baby. I was sad to read that dave aka red was going blind and it is nice that dave has a dog named buddy. Max and Esmeralda was living with dave aka red. it is nice for dave to have company max and Esmeralda could help dave with stuff he could not do due to his eyesight. I like that Kyle kept in touch with his father by letters and phone calls. I fell in love with this book and storyline. I can not put in to words how great this book is l would tell people to read this book for themselves to know how great this book really is.I was happy to read that Kyle and Miranda got married. Miranda give Kyle her brother victor's ring. Kyle and Miranda had twin boys one of the boy was named Prospero after his grandfather and the other boy was named Gonzalo after his uncle who went by victor. Kyle helped Emilio get a degree so he could teach and he come back to mexico for Kyle and Miranda's wedding day. Kyle was upset that his father did not come to the wedding. Kyle took the surname Romero-Duarte so the twins would carry on the Romero-Duarte family name. When the twins was two year old their grandfather Prospero had a heart attack and sadly passed away. Prospero was buried at the side of his beloved son victor and his beloved wife Elena that was his only wish when his time come. I was sad that Prospero and Gonzalo would not get to know Victor, Elena and Prospero. Kyle looked at his father in law as a second father. There is 3 parts to this book and 279 pages in this book. I was happy to read that Kyle, Miranda, Prospero and Gonzalo come to visit dave to ask him to come live with them in mexico they asked him to come see them off and have a look around the plane but they said sorry father as they set on to mexico dave and buddy would get use to mexico in no time. dave eyesight got a bit better because he was doing more stuff. He loved spending time with his son, grandsons and his daughter in law.Miranda's auntie sounds jealous that Miranda's father Prospero left everything to Miranda and Kyle when he passed away. I was sad to read that Kyle and Roberto died in a fire trying to save the life of horses. Prospero and Gonzalo found it hard after Kyle passed away. Kyle and Roberto was buried side by side. Prospero loved to play music and Gonzalo loved to drawing. Dave was heartbroken over Kyle's death I was happy to read that Prospero took dave and buddy back to Appleton and Prospero was following in his father and grandfather's footsteps in music.